HealthChoices, Pennsylvania’s premier Medicaid Managed Care program, serves over 2 million of the Commonwealth’s most vulnerable low-income and disabled citizens. Medicaid Managed Care, which first began in the early 1980’s, has dramatically increased access and improved quality of care to Medicaid consumers. The Commonwealth’s Medicaid Managed Care Plans are ranked among the best in the nation. HealthChoices began in 1997 in the Southeast region of Pennsylvania. Today, this Medicaid Managed Care program extends to all of the Commonwealth’s 67 counties. HealthChoices is the primary service delivery model in Medicaid. Beginning July 2017,the Community Health Choices program will begin offering Managed Long Term Services and Supports to Medicaid beneficiaries, starting in the South West zone, and eventually expanding to serve the entire Commonwealth. Pennsylvania has long led the way nationally in the development of Medicaid Managed Care. 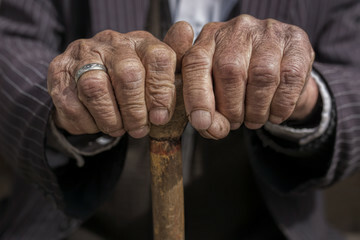 The Commonwealth’s earliest forays into managed care for Medicaid consumers began in the early 1980s with a limited number of Medicaid-only versions of Health Maintenance Organizations (HMOs). Pennsylvania was national news in 1986 when, through a waiver from the Federal government, the Department of Public Welfare (DPW) created one of the few Health Insuring Organizations in the country. This controversial new, risk-based HealthPASS program elevated the concept of Medicaid Managed Care to a new level, since Medicaid recipients in the districts of Philadelphia covered by the waiver were required to enroll in Managed Care. Medicaid Managed Care Organizations soon began providing services in other areas of the Commonwealth, offered as a voluntary choice to consumers. By 1997, DPW had learned from the trials and errors of the HealthPASS pilot. In that year, DPW launched a refined and improved mandatory managed care program with the new HealthChoices program in the Southeast Zone. DPW(now DHS) expanded HealthChoices into the Southwest in 1999, followed by the Lehigh Capital Zone in 2001. Health Choices now serves all five zones across the Commonwealth, including the Northwest and Northeast. Today, Pennsylvania’s HealthChoices program is a national model. When Pennsylvania made its first overtures in Medicaid Managed Care nearly 30 years ago, only a few States were experimenting with the managed care concept for Medicaid. Today, Medicaid Managed Care is the predominant delivery system for Medicaid; with approximately 71% of Medicaid consumers nationwide receiving some or all of their services through managed care. DHS contracts with MCOs to provide a complete package of benefits to Medicaid consumers who enroll in their plan. The MCOs are paid a set of capitated fees for each enrolled member each month. The plans are at financial risk and must provide all contracted services to their members as well as the administrative and quality structure for those services within that fixed amount. 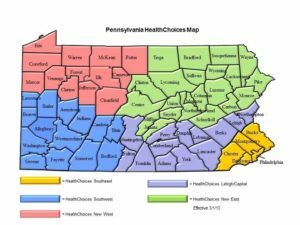 There are five HealthChoices Zones: the Southeast Zone, the Southwest Zone, the Lehigh/Capital Zone, and the newest zones in the Northwest and the Northeast. Medicaid consumers in nearly all categories of eligibility, who reside in a HealthChoices zone, are required to choose an MCO. If consumers do not make a choice, they are assigned to a plan by DHS, using a methodology that considers the size of each plan and the quality of services delivered (based on standardized performance measures). DHS’s independent, third-party enrollment broker works directly with consumers to choose an MCO. The MCOs themselves are not permitted to perform direct marketing to Medicaid consumers. The Department’s stated goals of the HealthChoices program are to improve access to and the quality of care for MA consumers, and to stabilize spending. HealthChoices and the MCOs, which operate the program, have not only delivered on all of these goals, but also continue to improve their performance each year. All members have a Primary Care Provider (PCP) who provides a Medical Home for the member and manages their medical care. The PCP makes referrals to specialists for care when medically necessary. Members have access to a wide range of specialists, hospitals, dentists, laboratory sites, therapists, home health providers, pharmacies, and other medical providers. MCOs assist the PCPs and the members to obtain necessary care and receive preventive screenings and immunizations. The MCOs employ nurse case managers and social workers to provide Disease and Comprehensive Case Management to members with serious and/or chronic medical conditions so that they can maintain the best possible health status. The HealthChoices Program has dramatically increased access to care from levels prevalent under the previous fee-for-service model. Active provider participation has been achieved through innovative payment practices and initiatives, regularly performing and acting upon provider network analysis, cultivating relationships with providers, and performing provider training and education. HealthChoices increases quality by incorporating a wide range of program elements necessary to achieve and maintain excellence in clinical quality. These elements include disease management, provider credentialing, clinical guideline development, and quality of care studies. Quality results are also published in a document titled A Consumer’s Guide to the HealthChoices Health Plans, and outcome data is made available on an ongoing basis. In addition, most HealthChoices plans are accredited by the National Committee for Quality Assurance, a non-profit organization dedicated to improving health care quality that accredits and certifies a wide range of health care organizations, including MCOs. Six of the MCOs have received an Excellent accreditation and are also ranked in the U.S. News and World Report’s rating of the best Medicaid Health Plans in the nation. Since 2005, DHS has provided part of the MCOs’ rates through a Pay for Performance (P4P) Program that incentivizes the plans to improve their quality performance. The goal of DPW was to shift from “paying for care” to “paying for quality care.” Payouts are based on in quality improvements in several standardized performance measures. A recent analysis by DHS demonstrated that program performance has increased significantly since the implementation of the program, with improvements in 10 of the 13 P4P measures. A recent study by The Lewin Group demonstrated that the HealthChoices MCOs have, through skilled medical and administrative management, saved the Commonwealth $5.9 billion over the past 11 years. Because of the enormous size and scope of the Medicaid program, the major role that the HealthChoices program has played in mitigating the cost of Medicaid is crucial. The HealthChoices MCOs’ tools for managing in an at-risk environment are many. 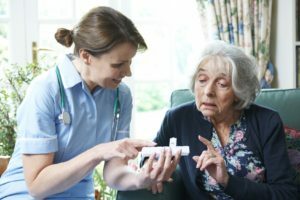 MCOs use sophisticated disease and case management protocols, state-of-the art, evidence-driven utilization management techniques, and pharmacy benefit management practices that have been honed in a Medicaid environment. MCOs also emphasize the use of lower-cost appropriate generic medications, value-base purchasing, member incentives and provider P4P programs.